Rich in history, popular and conveniently located on the international crossroad between the east and west – we are looking at holiday destinations in Mexico. A Latin American country bordered by USA to the north, Belize and Guatemala to the south east, the Gulf of California and the Pacific Ocean to the west, the Gulf of Mexico, the Yucatan Peninsula and the Caribbean Sea to the east. Mexico had advanced civilisations long before the Europeans arrived. The Olmec, the Toltec, the Teotihuacan, the Zapotec, the Maya and the Aztec are some examples which adds a rich blend to the complexities of Mexico’s history today. That makes the country a melting pot of all races, biologically and culturally. It was not until 1521, that the Spanish conquered and colonised Mexico. A series of conflicts blighted Mexico after it gained independence from Spain in 1821. 1. 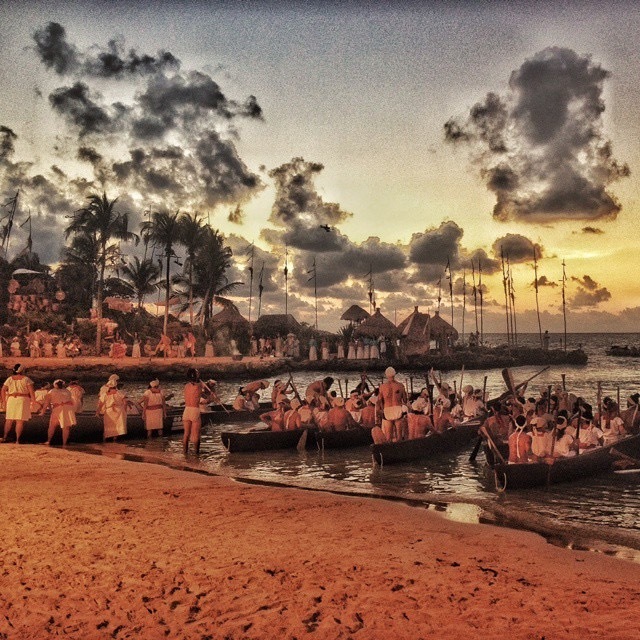 Playa del Carmen for it offers good food, bar scenes and a great golf getaway from the nearby community of Playacar. This sits on the Caribbean coast and has warm seas good for swimming and snorkelling. There are many large 5 Star resorts here, many of which are all-inclusive. This makes travel very easy for families and those who want a holiday as easy as possible. 2. Puerto Vallarta has excellent beaches with quaint settings, a bit different from the other packaged tourist centres on offer. This resort town is on the Pacific Coast and has a beautiful promenade, great for restaurants, bars and just watching the world go by. 3. 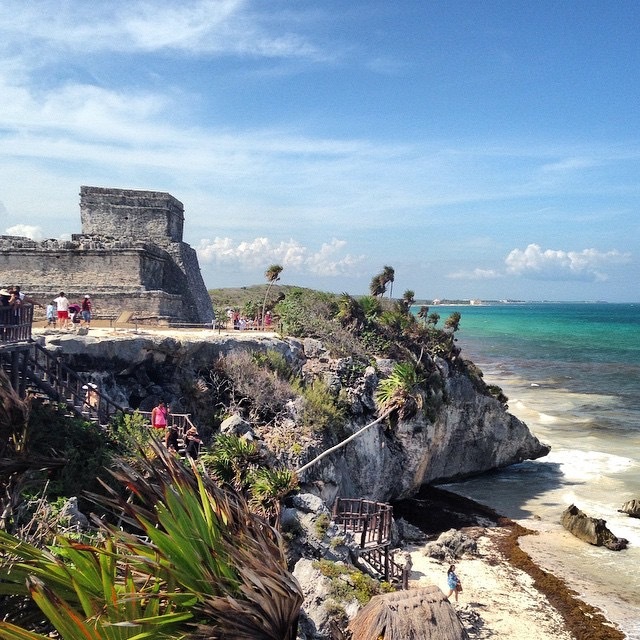 Tulum, once the set of Mayan ruins now offers new frontiers of the Riviera Maya beaches. This Mayan ruin has the most picturesque settings and is the best preserved of the ruins from this era, also one of the last built before the demise of the Mayas. 4. Cozumel, a Yucatan island has coral reefs and cruise boats. The island has a quiet historic setting of the Mayan culture with San Cervasio and the El Cedral ruins a must-see place. Popular with diving and snorkelling you will see lots when you venture underwater. 5. 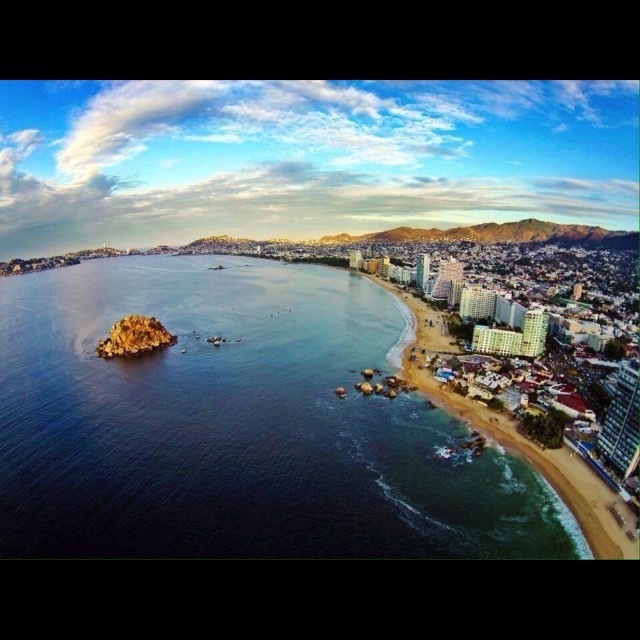 Mazatlan has star-studded shorelines with renovated museums and historic sites. 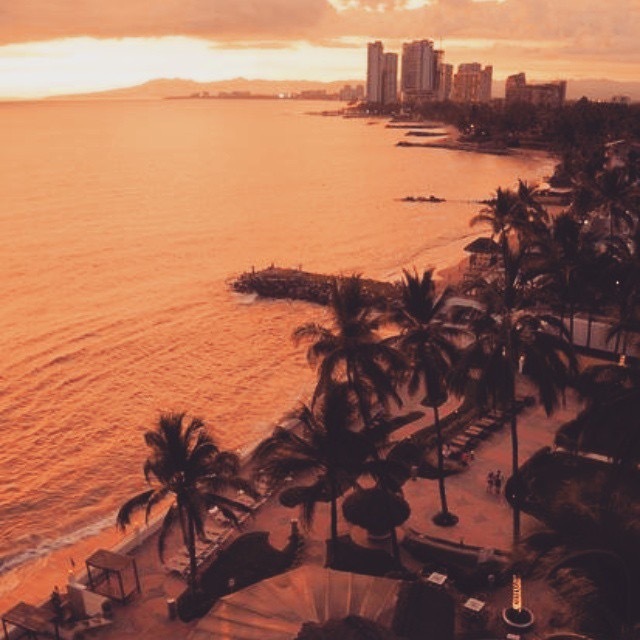 A fairly new city in comparison to other Mexican cities, Mazatlan has a strong German influence following a large group of settlers arriving in the mid 19th century. From Bavarian Folk Music to Brewerys, this city is an interesting melting pot of cultures. 6. Acapulco, a hotspot in the 1950s, was made popular by Frank Sinatra and John. F. Kennedy. Still known for its glitz and glamour the area now has two distinct areas. The North end of the bay being more traditional and boutique like, while the South end is filled with high rise hotels. 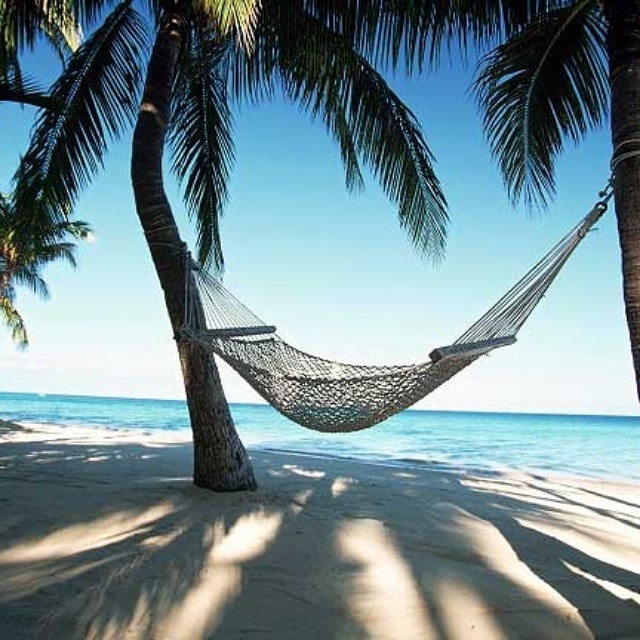 Playa Icacos is renowned for its soft sands if you wish to enjoy the sun. 7. 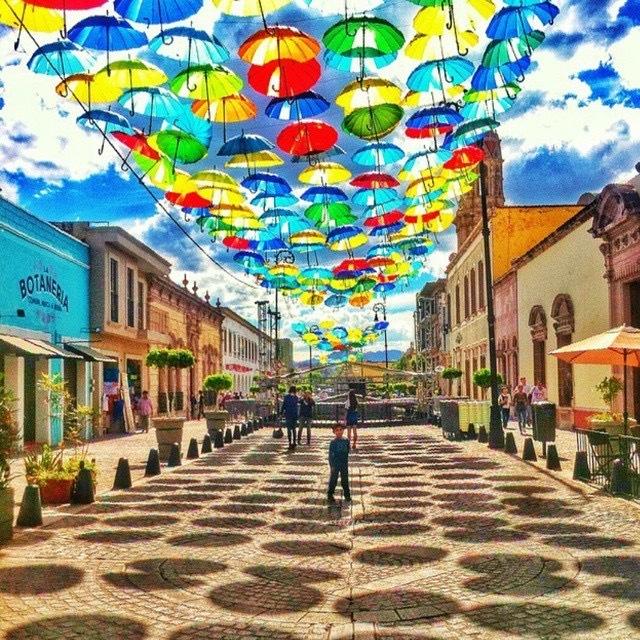 Oaxaca is on high ground, about 5,000 feet above sea level, featuring a colonial city with a traditional town square in the Madre del Sur Mountains, complete with its rich Mexican cuisine, vibrant markets and native customs. 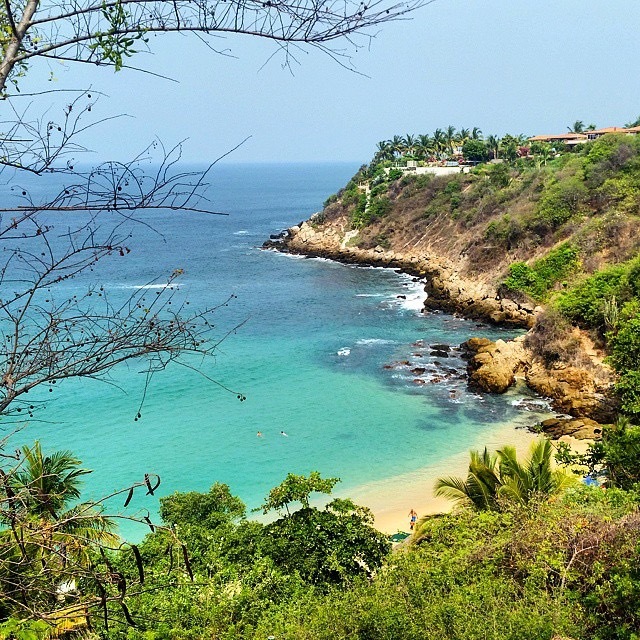 In the state of Oaxaca is Carrizalillo Beach in Puerto Escondido, there are many coves like this offering natural and unspoilt beaches away from the tourist hotspots. 8. 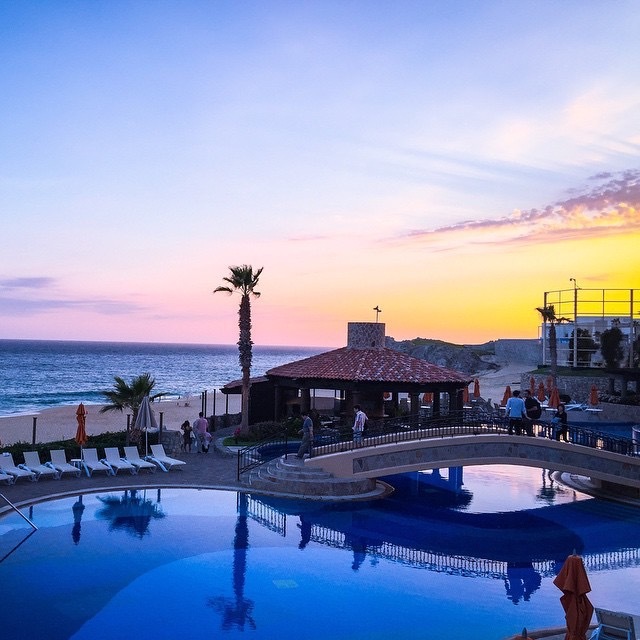 Cabo San Lucas is located in the centre of the Baja peninsula, dotted with luxurious resorts, busy beaches and loud parties if that takes your fancy. Nearby is San Jose del Cabo if you prefer the solitude and just to relax and watch the world go by. So if you are looking for a bit of culture, tradition, nightlife or just relaxation there are plenty of places to choose from! We recommend using MexTrotter tour group to help tailor your visit as well as look after the arrangements. They are genuinely proud to show you their country, will take care of booking individual hotels and transport, which can sometimes be a bit stressful – especially if you are not familiar with Mexico. Prices are dependent on time of year and group size. 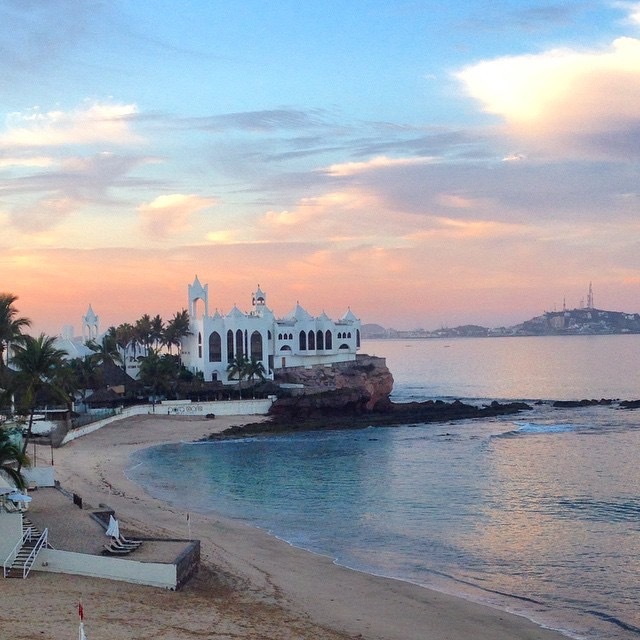 The Mexico Roundtrip with a beach holiday ticks all of the boxes!